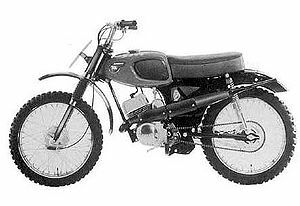 The Kawasaki G1M was a 90cc off-road motorcycle manufactured by Kawasaki in 1967. It had an upswept expansion chamber exhaust system, raised front and rear fenders, and knobby tires. This page was last edited on 26 August 2010, at 18:05.